The Shack is a brilliant book that takes a deeply creative look at how an individual reconciles brutal tragedy with the idea of a loving God. Recently turned into a movie, our team actually played a role along the way in the journey to take The Shack further into the world. A marketing agency based in Nashville hired our team to build the website of author Wm. Paul Young a few years back. 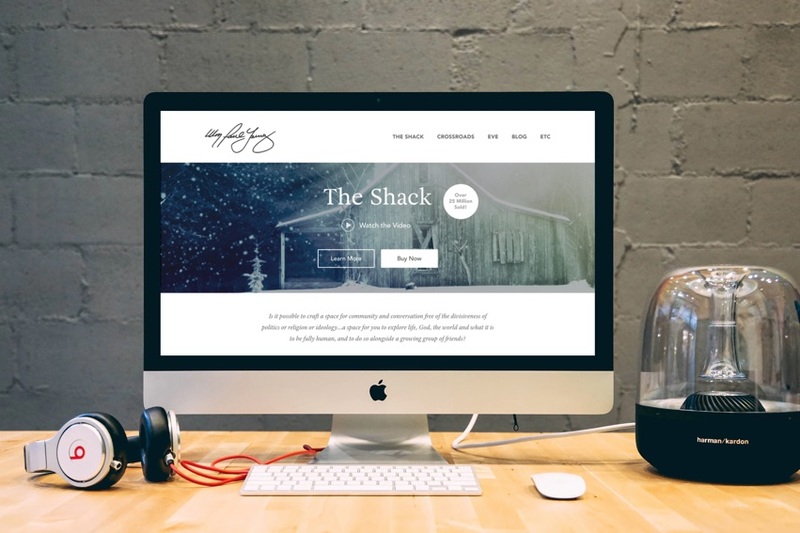 The project was to build a beautiful, simple site that allowed Young to express his thoughts, invite guest bloggers to speak into the creative expression of faith, and to give a place to house ongoing projects. We built the original site and turned it back over to the team so we could focus on building ChurchPress, but it was a great and meaningful project that we were humbled to be included. Be sure to check out the movie or buy The Shack: Where Tragedy Confronts Eternity today!